Christmas decorating doesn’t have to be limited to your living room, or the downstairs area of your home- your bedroom deserves some festive cheer too! From bedding, to foliage, to candles that smell like chestnuts roasting on an open fire, we’re sharing some of our favourite festive picks available on the market this year. 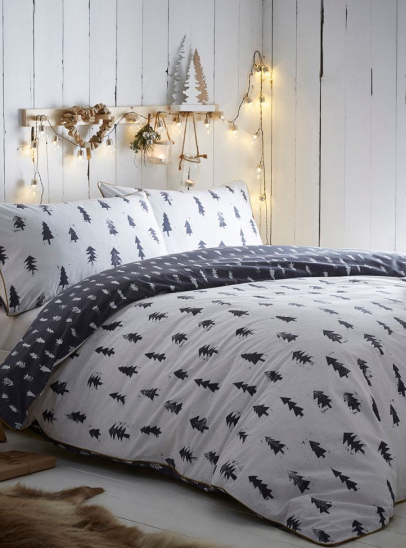 If glitter and tinsel aren’t your thing, you can easily bring the Christmas feeling to your room with a change of bedding. With so many styles, colours and textures available, you’re sure to find a set that matches the tone of your bedroom, bringing Christmas how you want it. In terms of trends for the season, simple designs with woodland elements are proving popular, along with the return of a timeless classic, tartan. We’re loving all of these cosy designs- Which is your favourite? Cushions are a quick and easy way to add festive flare to a bedroom. They will also help to make your bed a cosy haven for winter- win, win! Tip: If you’re on a budget and would like to save on storage, opt for cushion covers and dress existing cushions you have in your bedroom. Arguably the most festive of decorations, the humble Christmas tree (or not so humble, depending on your style!) is sometimes all that’s needed to brighten up a room. 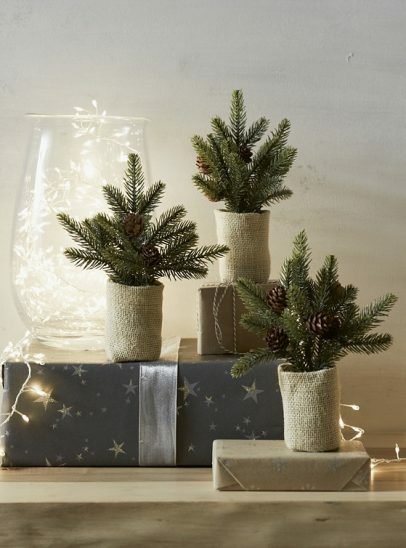 Now, if you can’t make room for a 6ft towering fir, don’t fret, because these cute miniature trees can look just as good. Lights are a great way to decorate any bedroom for the Christmas period, as they don’t compromise any space and can be hung from any available furniture. For the ultimate Winter wonderland, drape string lights across your headboard and/or hang a curtain light across a window. Christmas is a party for all of the senses, with so many traditional scents that can make you feel festive. A seasonal candle is a great way to bring some of these scents to the bedroom, whether you want the authentic smell of a newly chopped Christmas tree, or the aroma of freshly mulled wine. So you’ve got your festive duvet cover on, you’ve lit your scented candles, and it’s still not enough? 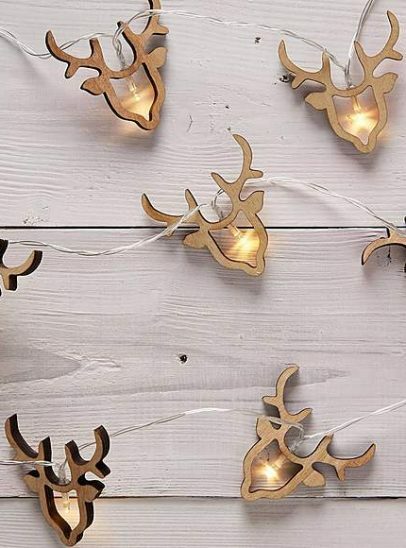 We’ve picked some of our favourite hanging and standing decorations for when you need something that little bit ‘extra’.